It’s Back! 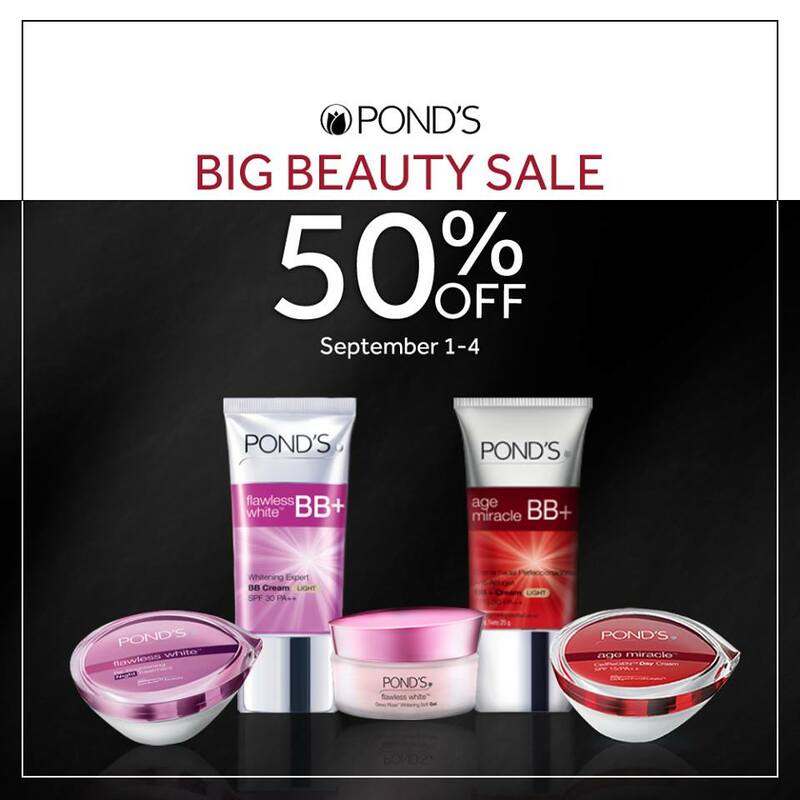 Get 50% OFF on select Pond’s Age Miracle and Flawless White products at the #PondsBigBeautySale on September 1-4 nationwide! Hurry! Limited offer only! Visit bit.ly/Ponds_TheSkinExpert for more info. Watsons Department Stores, Mercury Drugstores, SM Supermarket, Robinsons Department Stores, Robinsons Supermarket, Landmark Department Stores, Landmark Supermarket, Puregold, Duty Free, Shopwise, Waltermart, Metro Gaisano and Gaisano Capital.